Every morning the girls and I go out for a walk after breakfast. I need this time to clear my head and take time to relax. Getting outside is just a good idea for everyone. 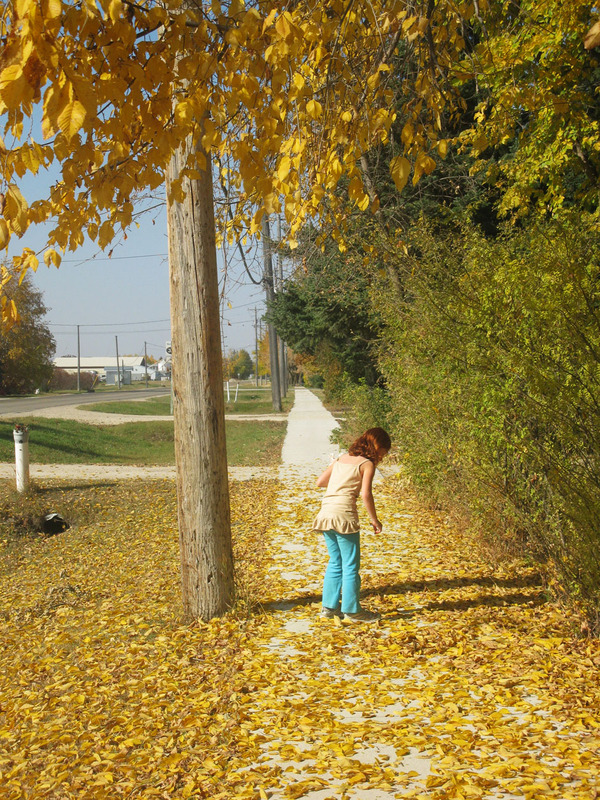 I love seeing all of the beautiful colors of fall and watching the leaves fall to the ground. We have had such beautiful warm weather these days! My growing baby girl is turning 14 months old this month! 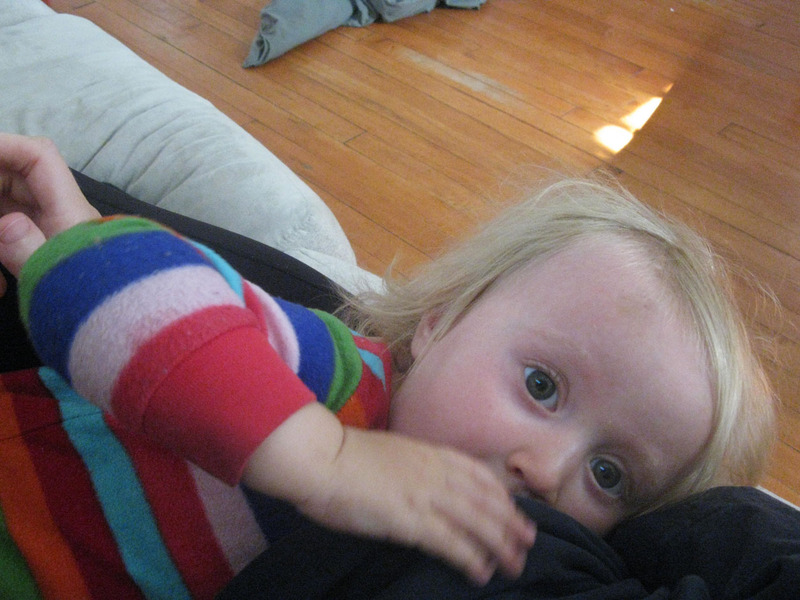 I am still enjoying nursing her and co-sleeping. Although sometimes her attachment to me drives me absolutely crazy and I think that I am crazy for doing all of these attachment parenting things! She is not walking on her own yet, but soon I know she will be and then she will find even more trouble. She loves to grab mommy’s ankles, especially when I am in the middle of cooking and baking. Serafina is also really into music. She has always loved music, it is the only thing other than being with me that makes her really happy. 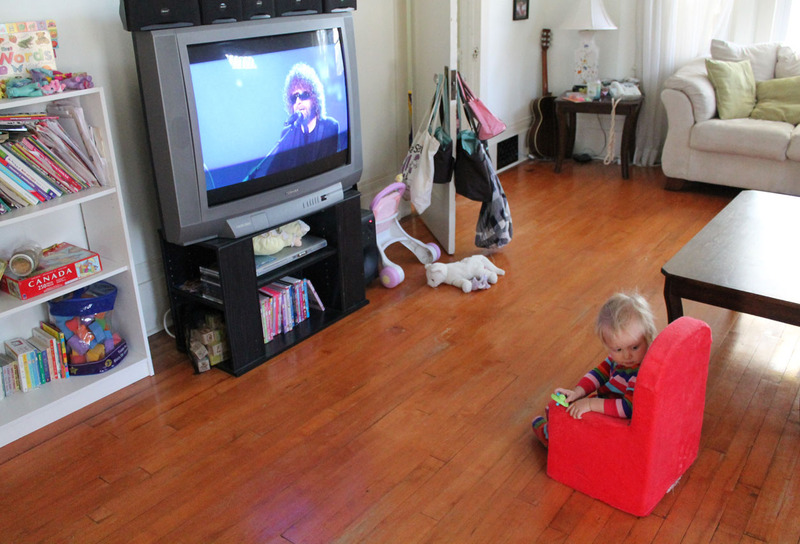 This is a picture of Serafina watching her favorite ELO DVD. My big girl is turning 8 on October 10th! Time to plan another birthday cake! 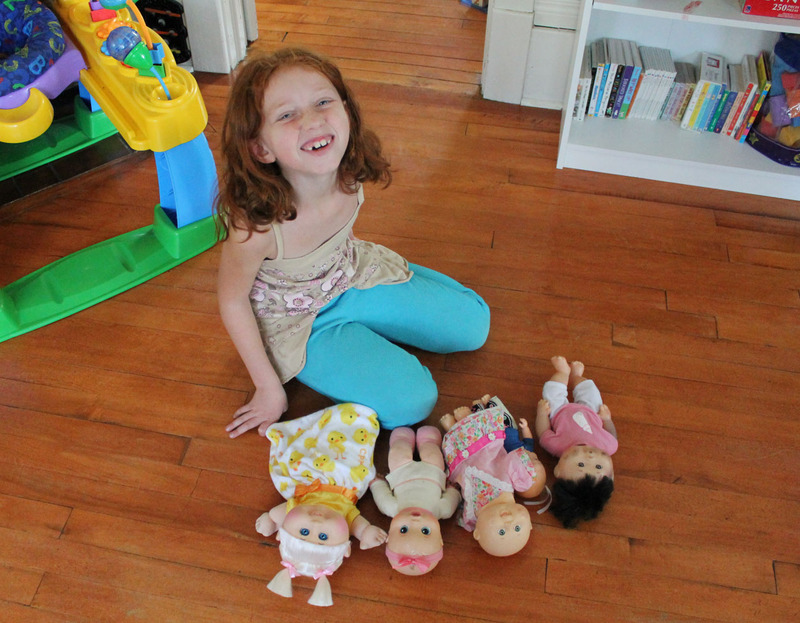 She still loves playing with baby dolls and pretending to be a little mommy, which I encourage. It is nice to see that she is retaining her innocence. 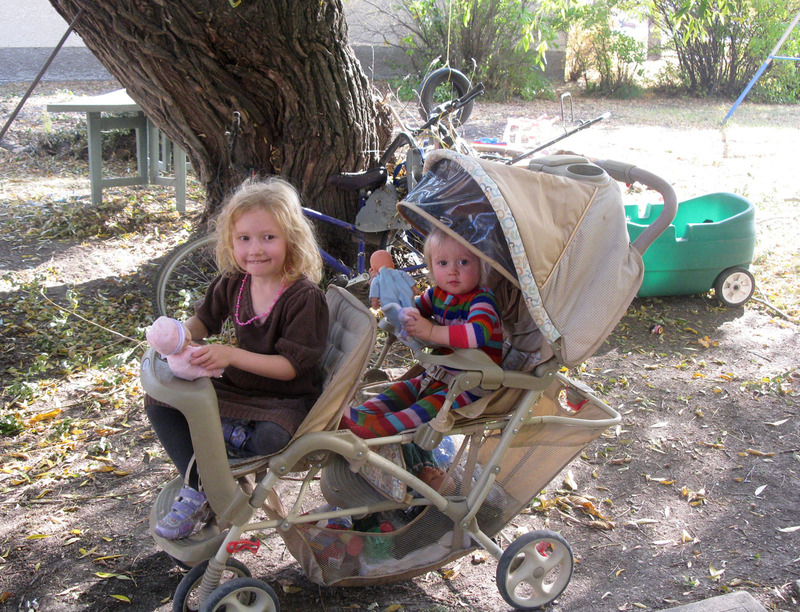 One of the things I love about homeschooling is letting my girls be themselves and not having them be pushed to grow up too fast, but develop naturally into who they were meant to be. For her birthday we got her a new baby doll (that makes 8 grandchildren for me). Amber lost another arm last week, which was a huge tragedy. Autumn said that she will still love her forever, even if she lost her head, still I thought it was time to get her a new doll of her own. I couldn’t wait to give it to her, so it was an early birthday gift. 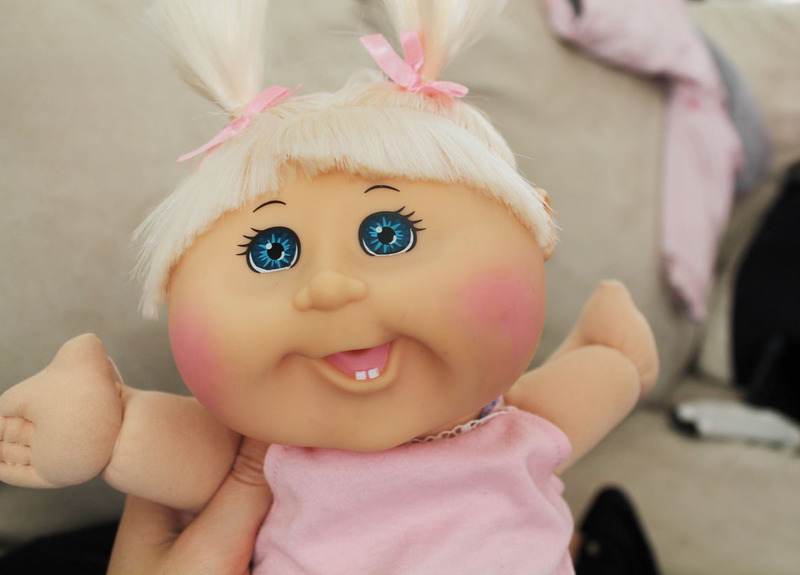 She named her Arabella (after Serafina’s middle name) because she looks a lot like Serafina. The girls are always doing crafts! It is non-stop creativity around here, but with that comes a lot of mess. Scrap papers are often laying around and somehow Serafina is caught at least once a day trying to eat eating crayons. She loves to eat crayons all the time. 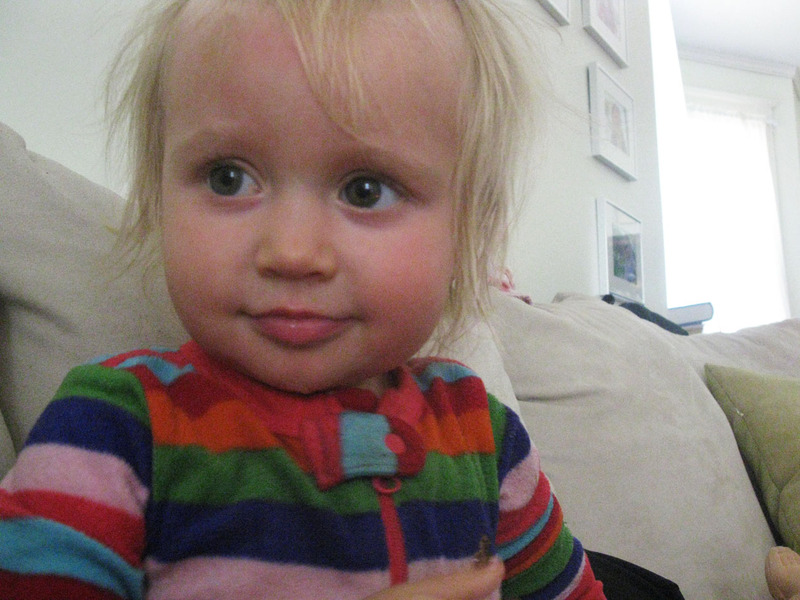 She is a crayon-eating monster. 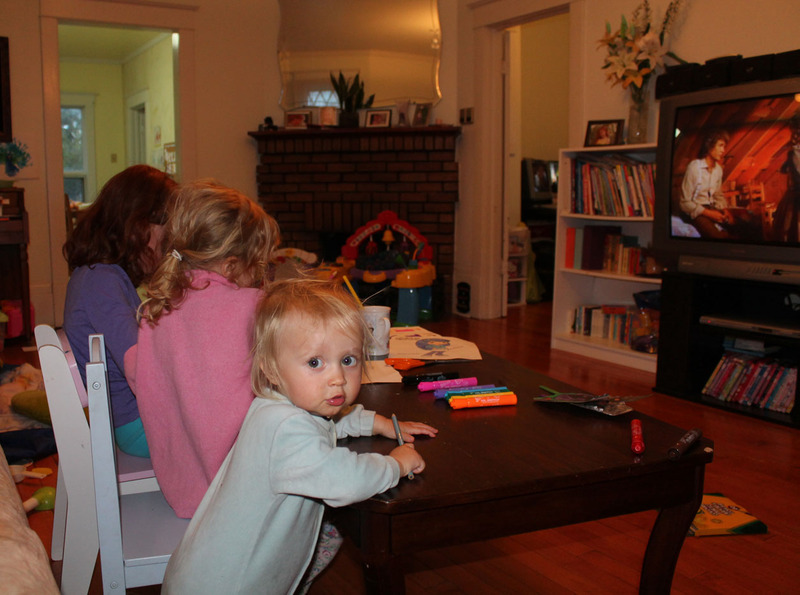 This picture is of the girls doing crafts at the living room table while watching Little House On The Prairie. Serafina is sneaking a taste of a pencil crayon. Autumn also had the idea to make her own paper fairy dolls. 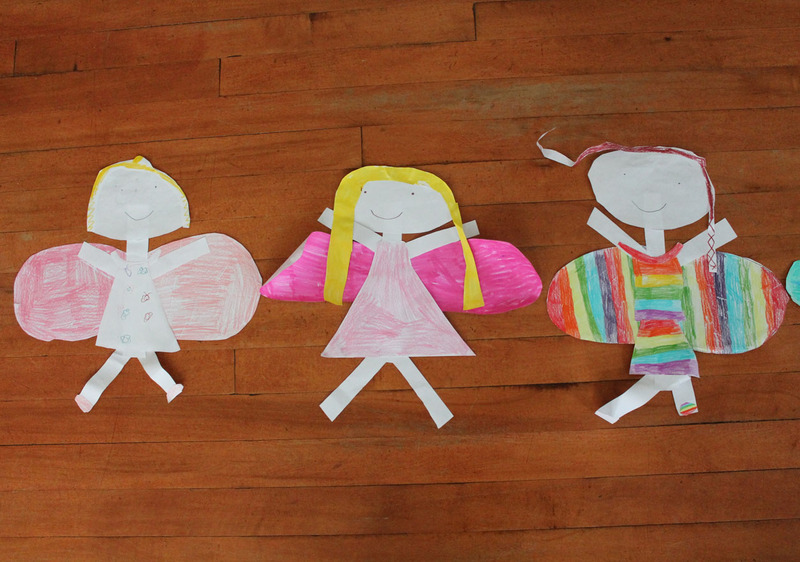 These are large paper dolls that the girls love to play with and so cute too! Their swaddling skills are also amazing! 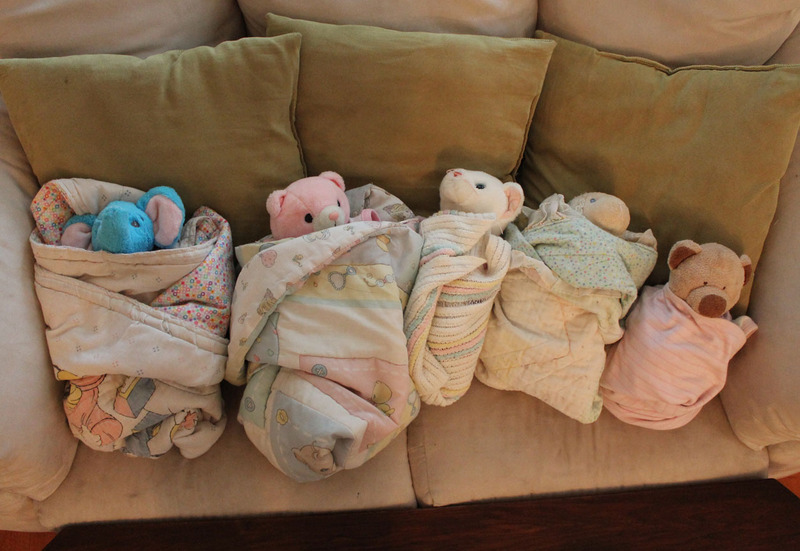 I found these stuffed animals nicely swaddled and cozy on the couch the other night and had to take a picture. Every night we read to the kids. Usually Craig reads to Kesa and I read to Autumn. Sometimes Autumn reads to me for practice. 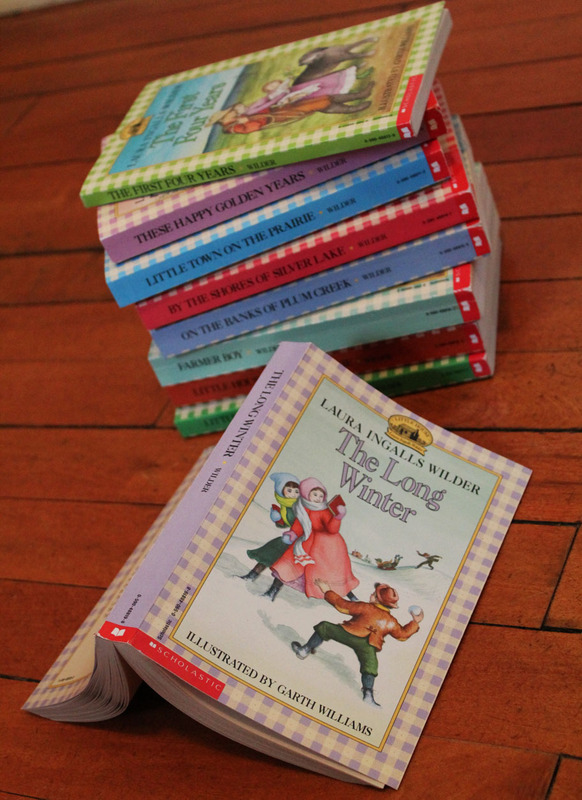 We are on the 6th book of the Little House On The Prairie series, The Long Winter. I love reading this book series, which takes me back to a more simple time and inspires me to appreciate the little things in life and be grateful for all that we have. I have fallen in love with tea since I became sick a few weeks ago. I love chamomile tea with a few drops of stevia. It is my latest addiction. I also am obsessed with making soup and crab apple crisp (recipe to come). 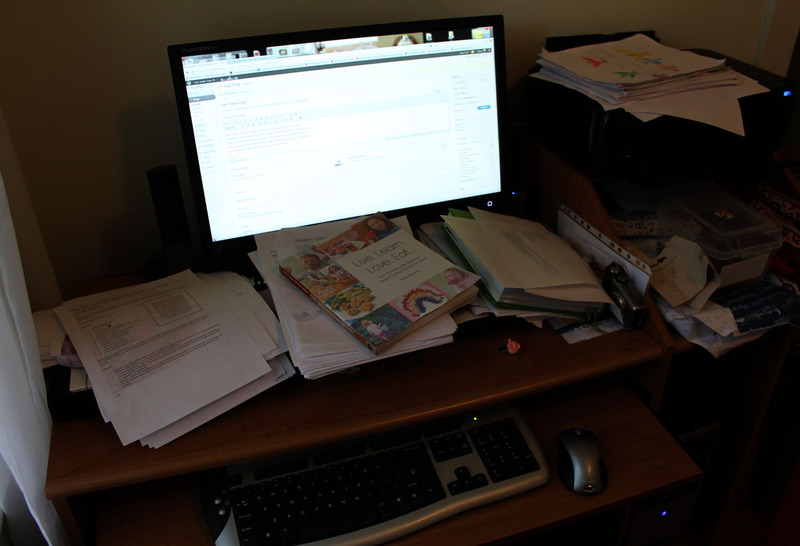 This is a picture of my messy desk where I spend much of my day working on the cookbook and write my blog posts. I want to remember this because maybe one day soon it will actually be neat and organized. Love the peek into your life. Your girls are growing fast! 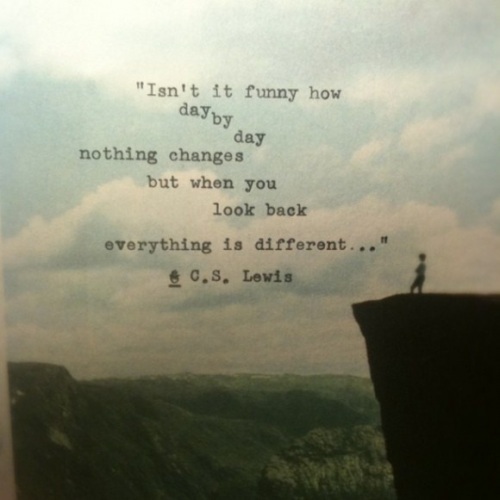 Loved the little peek into your day, it looks so full of love, life and fun!! !